Listening is the foundation of our service to you. Over the course of a long-term relationship with you as our Client, we expect to do much more listening than talking. We look forward to hearing about your vision, passions, and dreams for your life and your loved ones. We strive to understand your challenges, concerns, and uncertainties. The core of our mission is to become your advocate and help you navigate through your own financial planning and life journey, using informed and rational decision-making practices. It is not unusual for an existing or a new client to have a specific question or need that can be handled without a comprehensive plan or an ongoing investment management agreement. These more “simple” scenarios can be handled with our hourly (as needed) advisory service arrangement, which is available at a very reasonable cost. Financial planning is about truly understanding what you want out of life and using your money and your investments to make it happen. A comprehensive written Financial Plan is a “roadmap” that coordinates key areas of your financial life: taxes, investments, retirement plans, current and future spending and income needs, long-term care strategies, giving, estate-planning wishes, business succession, asset protection, and more. Most people without a financial plan tell us they feel “scattered” and “uneasy.” By pulling everything together into one place and understanding how each piece affects the other, it’s easier to make financial decisions and stay on track to meet your goals, especially in times of economic, market, or personal fluctuations. We work with you and your other advisors to help navigate the financial, tax, and legal ramifications of the many major changes that can take place over the course of a lifetime. We help you to see the “big” picture, as we create a personalized plan for your unique situation. We help you navigate what can be an emotional seasons (good or not so), to ensure you remain fiscally healthy and are equipped to make wise financial choices. An important focus of the Horizon Wealth Solutions practice is fee-based management of investment monies for clients. We aim to align your current resources, needs, wants, and wishes with appropriate tools, investment products, and programs. Our goal is to help you balance the risk / return “equation,” based on what is acceptable to you. We recommend investments that are aligned with your short-term and long-term goals. We seek a comfortable balance between the growth of your wealth and the fluctuations in its value. Good planning and a balanced approach are cornerstones to effective wealth management. If you only focus on investment returns, you’re missing a large part of the opportunity pie. We work with our clients to develop personalized, in-depth “game plans” that help set a course for the next 5, 10 20, or even 50 years. Because investment markets are prone to volatility, we help you pay attention to long-term market trends, so we can adjust your portfolio to stay firmly on track. We will continually remind you of the importance of maintaining a disciplined approach to realizing your dreams. Unanticipated conditions such as illness, injury, or premature death, could greatly hinder achievement of your goals. We help you to identify areas of risk exposure, to plan for the “what if’s” in life. We help you plan for actions to avoid (if possible), absorb (self insure) and/or transfer (using insurance products) risk, to protect yourself, your family, and your hard-earned assets. We also assist you in examining potential options for alternative products and/or investment strategies that may enhance portfolio diversification and/or provide some level of income protection. A common example of this type of strategy would be the use of annuities. For whatever is considered, we will help you to carefully review the pros and cons of all possible strategies, so you can make informed and sound decisions. 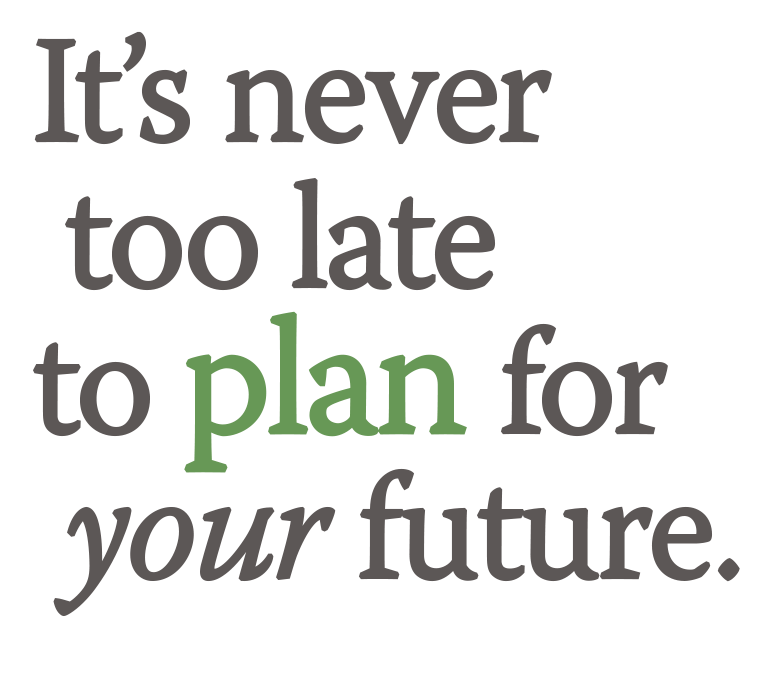 The planning doesn’t stop just because your initial life plan or investment strategy has been put in place. We review your progress and results up to four times per year, making adjustments as needed due to changes in your goals, your personal situation, and/or in overall economic conditions.